Anne currently works for WALGA as Regional Capacity Building Manager. Starting her career as a cadet librarian in the State Library, Anne has worked at the cities of Subiaco, Nedlands and Melville as Library Manager and Director of Community Development, her last role being Chief Executive Officer at the Shire of Peppermint Grove. She has worked in the Pilbara for the Department of Community Services and more recently for the Pilbara Development Commission. 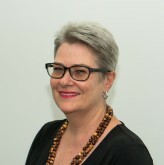 Anne holds a Bachelor of Applied Science (Library Studies), an MBA and a Graduate Certificate in Organisational Coaching. She is also a Fellow of the Australian Institute of Company Directors. Anne’s contribution to Local Government has been recognised by LG Professionals (WA) having received a Meritorious Award and being conferred a Fellow. An advocate for gender equality, Anne is a Past President and Life Member of the Local Government Women’s Association (WA), past Board Member of LG Professionals and was a member of the Ministerial Advisory Committee on Women in Local Government. An experienced company director, Anne has sat on the Board of the National Committee for UN Women for eight years and was the inaugural Convenor of the WA Women’s Hall of Fame. She currently chairs Women’s Health & Family Services Inc., sits on the Library Board of WA and is Patron of Starick Services. Anne was made a Member of the Order of Australia in the Queen’s Birthday Honours 2018 for her contribution to gender equality, particularly in Local Government. 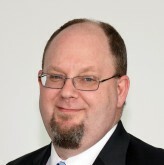 Damien Martin heads the research and modelling team at the Department of Planning. 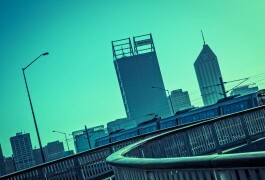 The multidisciplinary team is responsible for producing key statistical information that guides and supports strategic policy decisions and planning outcomes for Western Australia. This includes the WA Tomorrow population forecasts, the Urban Development Program (including the Hotspots Regional Land Supply updates), the Urban Growth Monitor (including infill reporting), the Urban Development Outlook mapping, Economic and employment lands reporting, retail analysis assessment, the State Lot Report, the Land Use and Employment Survey and the Metropolitan Land Use Forecasting System (MLUFS). Damien graduated with Honours from Flinders University specialising in Regional Economic Development. Damien also holds a Masters in Public Policy and Management and a Masters in Urban and Regional Planning. Prior to his current role, Damien spent 16 years in local government having worked in the metropolitan and regional settings. Colleen is an accomplished leader who motivates others to achieve what they previously thought to be unachievable. Her leadership style is inclusive and she possesses stellar strategic thinking ability and down-to-earth communication skills with the capacity to deliver on outcomes. She is a firm believer that change is exciting when you successfully ‘sell’ the vision of the new future and gain the full buy-in of all affected stakeholders. 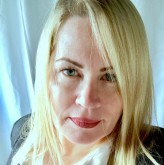 Having worked for the past 35 years in a number of multi-faceted, composite and challenging positions and situations within the private, government and not-for-profit sectors, Colleen has become highly skilled at making decisions based on sound policy and consultation while applying common sense and simplicity to complex tasks.